The independent catering group, CH&Co, has been named the UK recipient of a Ruban d’Honneur under the RSM International Entrepreneur of the Year Award category in the 2011 European Business Awards, sponsored by the HSBC. 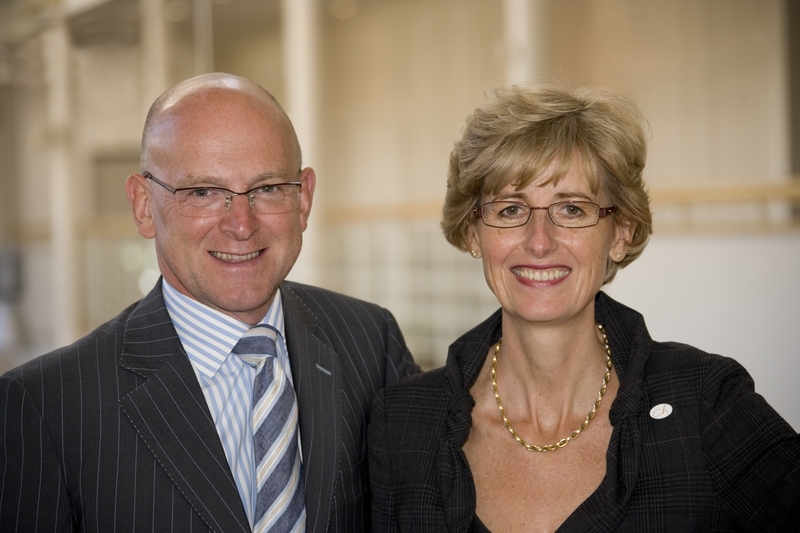 Tim and Robyn Jones OBE, co-founders of CH&Co, will now compete with nine other European winners within that category for the ultimate prize of a European Business Award, which will be announced in Barcelona on 22nd November. CH&Co employs almost 2,000 people nationwide across a diverse range of catering environments, from staff catering within B&I sites to catering within iconic venues such as the RIBA. It has recently gained a contract with Historic Royal Palaces to manage catering at Hampton Court Palace, Kensington Palace and the Tower of London. Current turnover is approximately £75 million, which is expected to rise to £90 million by its financial year ending 31st March 2013. The company is wholly owned by the couple who established the business on a shoestring budget at the height of a recession in 1991. Adrian Tripp, CEO of the European Business Awards, said:“I take great pleasure in congratulating Robyn and Tim Jones on their amazing success. They stepped ahead of tough competition to be selected for a prestigious Ruban d’Honneur in round two of the European Business Awards. Receiving a Ruban d’Honneur is an impressive achievement and celebrates businesses who demonstrate exceptional performance within their sector. This year has been tough on the judging panel as we’re seeing businesses emerge from economic difficulties and come out fighting and delivering some great entries. The mood is confident, ebullient and highly competitive”. This press release was distributed by ResponseSource Press Release Wire on behalf of Copylines PR in the following categories: Business & Finance, for more information visit https://pressreleasewire.responsesource.com/about.